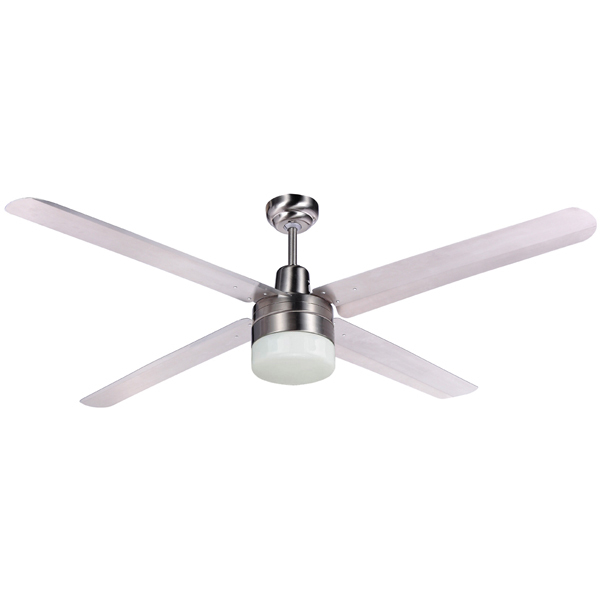 The Martec Trisera ceiling fan with remote is from the Four Seasons range of Martec. 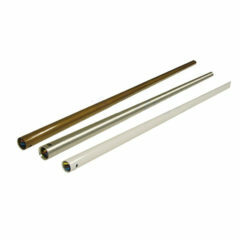 It is unique with its 3 blade or 4 blade assembly design. 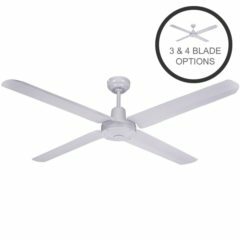 Including all the quality and performance you have come to expect from a Martec ceiling fan, the Trisera series incorporates the first of its kind, a fan that can take 3 or 4 blades. 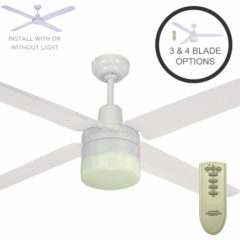 It comes with 4 blades in the box, however can be installed with either 3 or all of the blades. 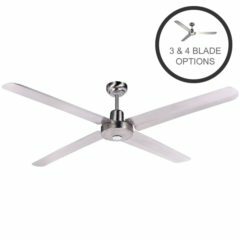 If wanting a 3 blade fan, you can either keep the additional blade for a spare or disregard it. The Trisera also features a sleek contemporary design at a low price. This model includes a 3 speed remote control with light on/off and a delay for the light. The Martec Trisera ceiling fan with remote control is a fan from the Four Seasons range of Martec. It is unique with its 3 blade or 4 blade assembly design. This Trisera fan features a brushed nickel body with stainless steel (304) blades. It is an indoor fan that comes with a remote control for easy operation. The Martec Trisera ceiling fan with remote control is a fan from the Four Seasons range of Martec. It is unique with its 3 blade or 4 blade assembly design. This Trisera fan features a white body with silicon steel blades. It is an indoor fan that comes with a remote control for easy operation. 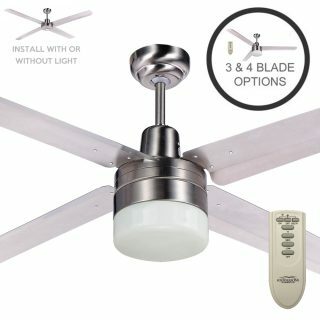 Trisera Ceiling Fan With Light & Remote – Brushed Nickel 304 Stainless Steel Blades 48″ **27 LEFT! 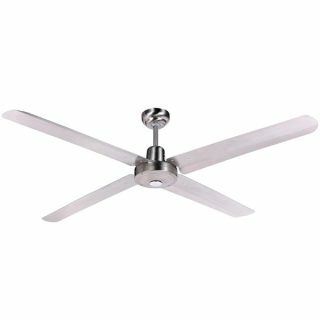 The Martec Trisera FST1234SCR ceiling fan with light and remote control is a fan from the Four Seasons range of Martec. It is unique with its 3 blade or 4 blade assembly design. This Trisera fan features a Brushed Nickel body with 304 grade stainless steel blades. It is an indoor fan that comes with a remote control for easy operation.